Devon has an older population profile than England, with particular peaks in people aged 60 to 64 years of age, reflecting significant in-migration in these age groups, and those aged 85 years and over, reflecting an ageing population and longer life expectancy. 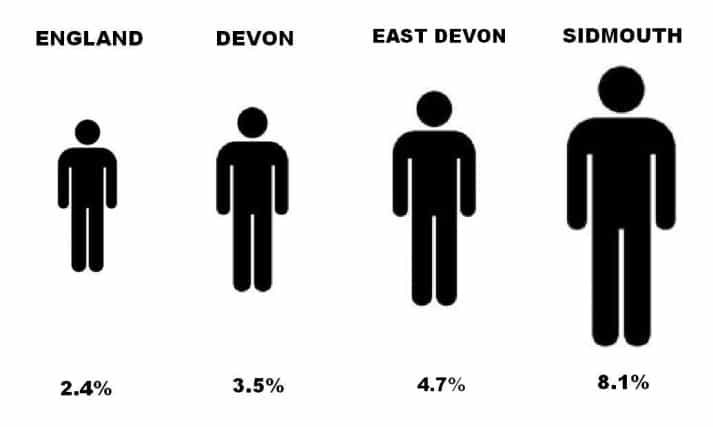 Figure 3 illustrates the proportion of persons aged 85 and over in Devon compared with England. It will be 2027 before the proportion of older age groups in England resembles the current picture in Devon, 2035 before England resembles the oldest local authority (East Devon) and 2076 before England resembles the oldest town (Sidmouth). Whilst modest population growth is expected in those aged under 60, population growth is set to be greatest in older age groups, ranging from a 28% increase in those aged 60 to 69 over the next 25 years to a 233% increase in those aged 90 and above.